The game cover was drilled yesterday, and today the spreader came up with a ton of lime. The soil samples I took earlier in the year showed that the field’s pH is very low, so if my crop is going to stand a chance of performing well, some action was called for. I could probably have got away without lime on this particular field but I want to do things properly. If my first attempts to become an arable farmer are doomed to failure, I’d rather it was down to something that was out of my control. I bought “calcifert” a fast acting granulated lime which dissolves quickly and gets into the soil for instant results, although what it has in speed in lacks in stamina. The effects of calcifert seem to wear off quite quickly, but I can get some proper lime sorted for subsequent years on this field and elsewhere on the farm. 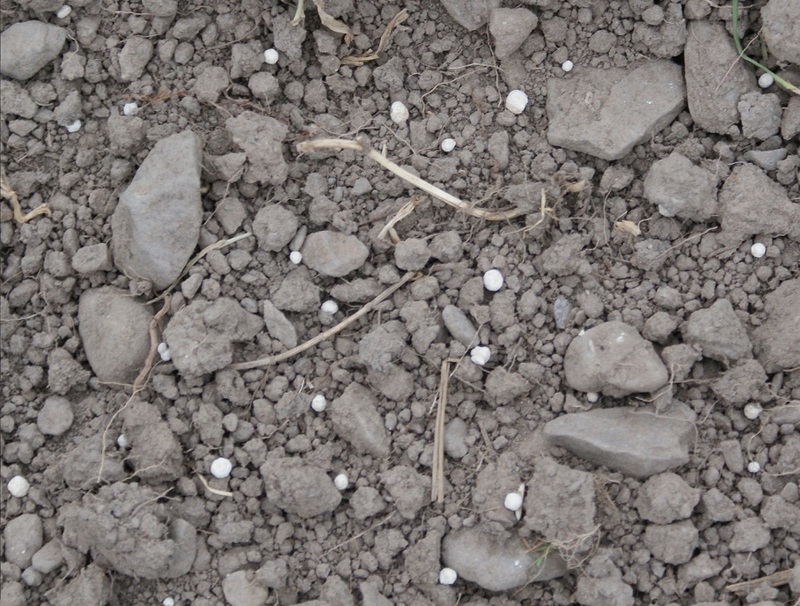 I’m now looking forward to the next serious rainfall, which should wash the lime into the soil and get the seeds into a position from which they can think about germinating. It concerns me that the pigeons are looking greedily at the field, but they’re nothing that a 12 bore and a box or two of cartridges won’t sort out. It occurred to me this evening just how far I’ve come with this project. If you had told me three years ago that I’d be worrying about soil pH and incubator temperatures (grey partridges still going steady and due to hatch next weekend), I’d have been amazed. I assumed that my attempts to manage the hill would involve quite alot of shooting and very little else, but I’ve found that I’ve used my chainsaw and my spade far more often than I’ve even touched a shotgun. I can feel a certain momentum building on the Chayne, and while it’s still early days, each step I take along the way brings me closer to establishing a mixed upland shoot from the remains of a neglected hill farm. 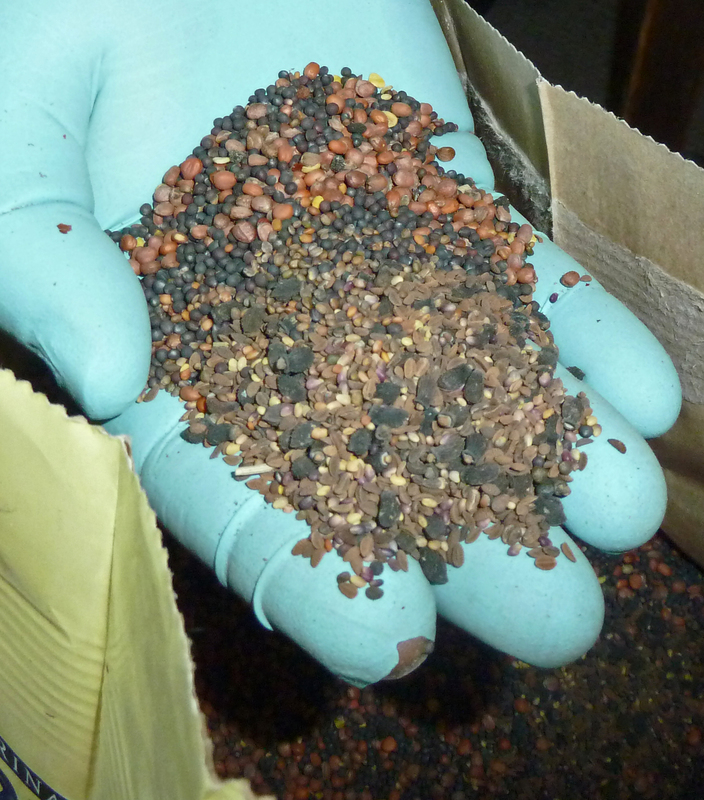 The time has arrived for the game cover crop to be sown, and it has been quite fun mixing a custom crop for the Chayne. After a great deal of humming and ha-ing, I settled on an odd combination of this and that which will now be drilled into the field which has been ploughed and rotavated. 30% thousand head kale, 25% stubble turnip, 25% stubble radish, 15% “bee mix” (made up of phacelia, borage and essex red clover) and 4% triticale. The final 1% was made up of a wild card mix of all the seeds we had lying around in the house, including a pinch of chili pepper seeds and a light dusting of brussel sprouts. Once this mix has gone in, I will drill in alternate rows of oats by hand, as well as a little trial plot of sunflowers. Something is bound to catch, and then I can take whatever it is on for future plans. The dour pessimism which characterises the people of southern Scotland (myself sometimes included) has already cast a cloud over this game cover project, and my neighbours have put the black spot on it. They are quite sure that I’m wasting my time and money, but I’ve been blockaded and scorned from every angle over the past four years to such an extent that it’s all water off a duck’s back. They can grumble and gripe, but I’m quite convinced that it’s far better to have a bit of fun trying something new than it is to gloomily pass out the rest of my days looking at a hillside with nothing on it but sheep and corbie crows. To brood or not to brood? Make your mind up – broody or not? For the last week, my two bantams have been dancing around the issue of going broody. They take it in turns to sit on the clutch of plastic dummy eggs, and one of them always sleeps on the clutch at night, but neither are really committing to the idea. Perhaps it’s because it’s been so hot that they just can’t face sitting in a sweltering shed for extended periods, and I hope that cooler weather might inspire one of them to get settled in to the task. I’m getting a new egg every couple of days, so it could even be that one of them is unsatisfied with the size of the clutch and feels that it needs a boost before settling down on it. Either way, I’m glad I got my partridge eggs started in the incubator, because waiting for these two to settle down would’ve made things quite awkward otherwise. 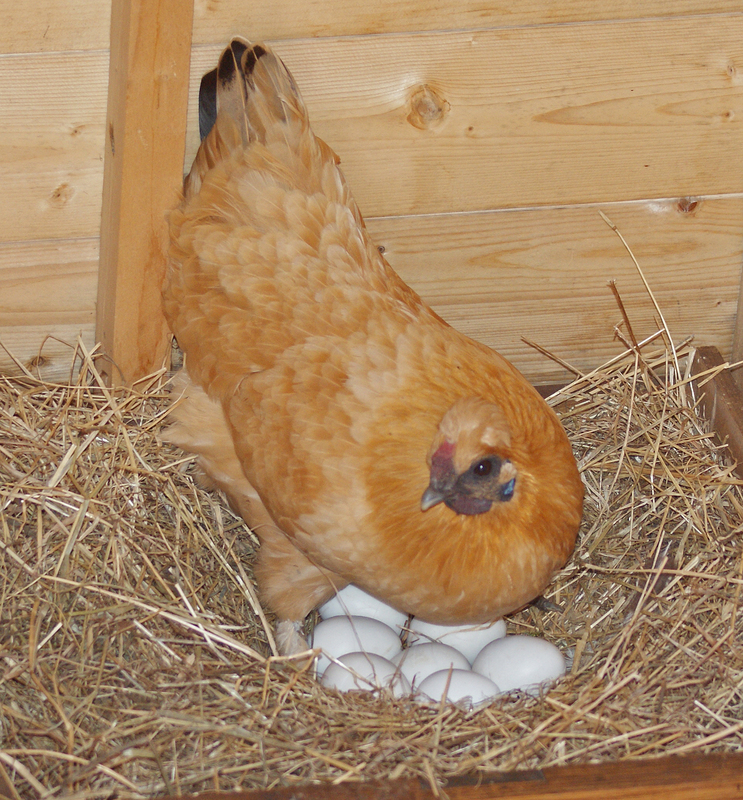 Hopefully, one will turn properly broody in the next few days and then I can put the incubator eggs under her and get started on the next batch. 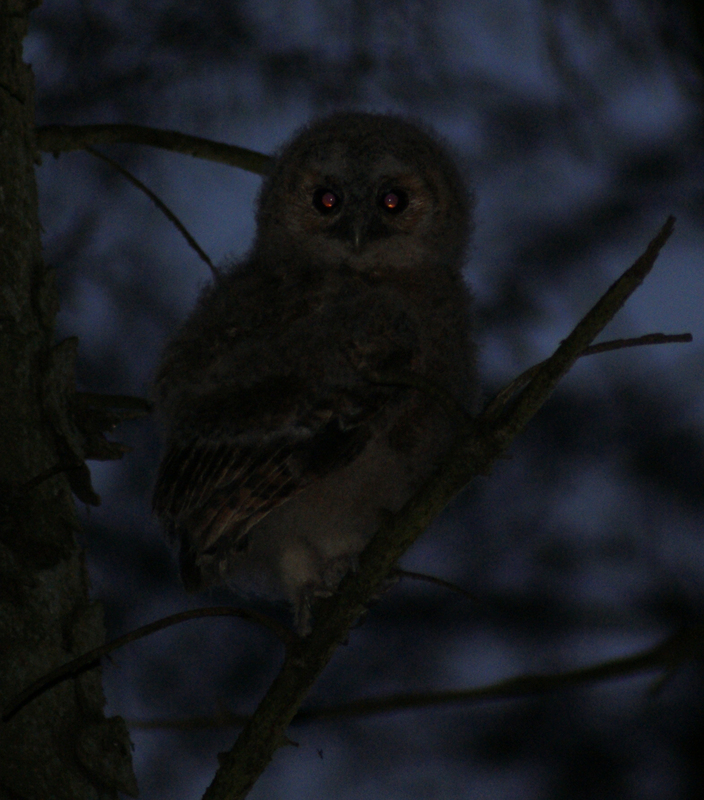 Just wanted to post this picture of a tawny owl chick in the fir trees behind my house. I would never have spotted the little brute if he hadn’t been silhouetted against the last glow of the sunset, and he sat squeaking cheerily away to himself while I crept up and took some photographs. An adult tawny owl was flying between the trees a few yards away, and so not wanting to upset the family arrangements, I just crept away again once I had some good shots. As I was leaving, this chick (above) flew from his perch and crash landed into the top of a holly bush, where he flapped and struggled away with his stubby wings, trying to regain his balance. If the midgies hadn’t been building in intensity, I could have sat watching him for some time. I am not one of nature’s swimmers. I don’t enjoy the feeling of sudden and panicked terror which overcomes me as soon as I go out of my depth, and I have such an inefficient swimming technique which means that I am totally exhausted after just few feet of wriggling and thrashing through the water like a wet cat. However, such unusually hot weather seems to bring out unusually irrational behaviour. It was so hot yesterday while I was refurbishing a broody coop that by late afternoon, I realised that something needed to be done. The loch where I fish for brown trout is just a field away, and with the sun beating down on the hills all around, I headed for water with an intense single mindedness. Scoop has just started to learn the basics of swimming, and while she’s as buoyant and as resistant to water as a black ping-pong ball, her technique still lacks a certain something. Her “doggy paddle” is very noisy, and from a distance, she looks like a mississippi paddle steamer. 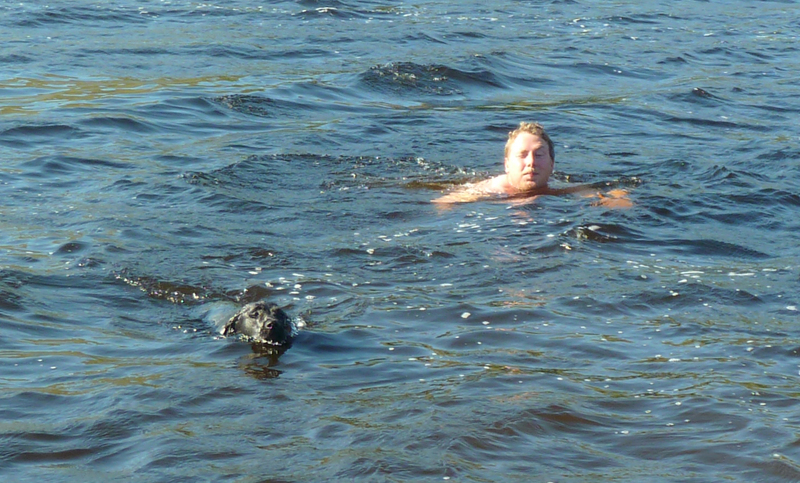 A bit of practice and she’ll be cutting through water like an otter, but she joined me faithfully as I stripped off and waded into the brown peaty water. All was well until she swam up to me and scraped her paddling paws down my side, causing me to sink momentarily beneath the water. She then turned and worked her way solemnly back to the bank, puffing through her cheeks and shaking gallons of water over my dry clothes when she got out. Good generals never ask their soldiers to do anything that they wouldn’t do themselves, and I hope that this excursion will maybe help Scoop‘s resolve when I ask her to plunge into a frozen estuary on a January morning to retrieve a teal. Hopefully, she won’t attempt to differentiate between balmy summer loch and bone freezing salty creek, and she’ll assume that I am just as ready to strip off and plunge in as she is. How wrong she’ll be. 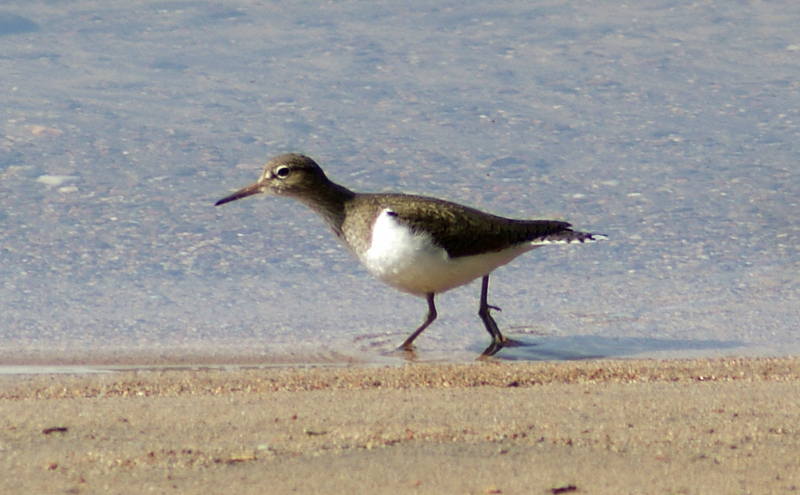 I had some time to spare on my return from Perthshire last week, and I spent them driving slowly up the side of Loch Rannoch with my binoculars and camera lens sticking out of the car window. There were all sorts of things to look at, and by the time that I finally turned to head south, I realised that I had been taking pictures and watching birds for three hours. 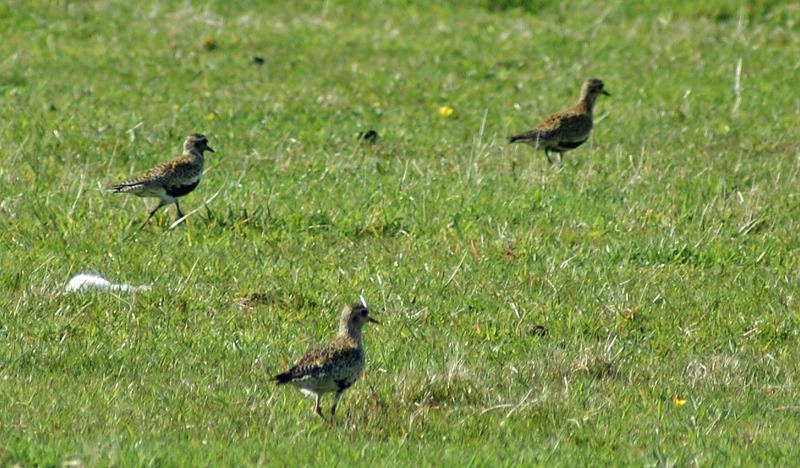 I was particularly pleased to get a close look at a party of half a dozen golden plover stuttering through a field next to the loch, and it was great to have the opportunity to watch those little birds going about their business. I noticed that they seem to yawn every few seconds, stretching their beaks open with a silent “peep”. I wonder if that is typical of golden plover, and it’s one of many questions I’ll want to have answered next time I see some. I found oystercatcher nests and cursed a hoodie crow for lurking in the branches of an alder tree above one. It was a cracking day, and there were all sorts of things to look at, so that by the time that I finally turned to head south, I realised that I had been taking pictures and watching birds for three hours. Just worth mentioning in brief that I’ve just returned from a press trip up in Perthshire and had a chance to see what was going on at leks in the shadow of Schiehallion. It’s always a real pleasure to watch displaying blackcock, and even though the biggest lek I saw this morning held just six birds, it was a goose pimpling moment to hear that old familiar bubble on the heathery slopes above Loch Rannoch. 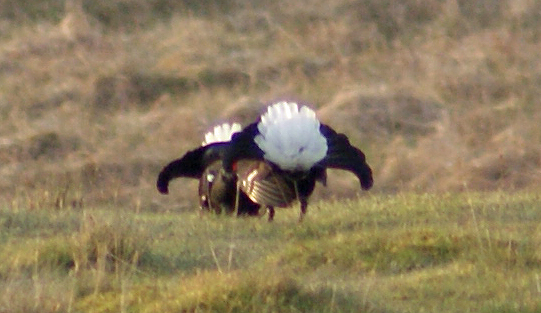 It’s getting on for being quite late for serious lekking this year, and while some diehards will display long into their moults at the end of June, the majority of blackcock are simmering down. I didn’t see a greyhen all morning, which is promising because they ought to be sitting tight at the moment, and the activity at the leks was fairly sporadic. It was unusual though from the perspective of a lowlander to hear a calving red deer hind bellowing away in the background behind the bubbles and sneezing.